Meet Corina Palafox. You may have seen her at Presentation Evening. You may have seen her guide the flute choir to Silver at the Silkstone Eisteddfod. But that’s not all she’s known for. At first glance, Corina appears your typical Year 8 student. She’s humble, hard-working and unassuming. But scratch the surface and there’s more to this high achiever than meets the eye. Corina’s winning image: Rocky Pond. Photographic Competition for her entry in ‘The Power and Beauty of Water‘ Category. 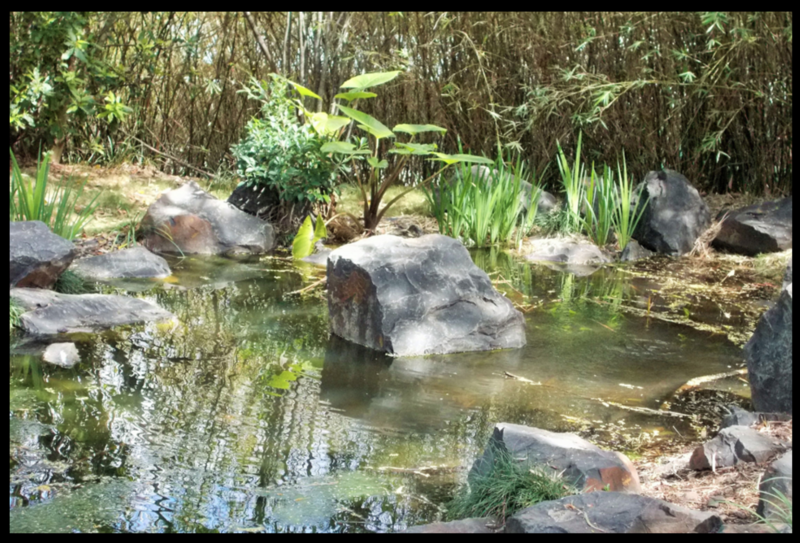 Her image, Rocky Pond, reflects the greenery of a small eco-system hidden from the world. The centre-third depicts a lone rock in a pond surrounded by smaller rocks as a golden afternoon sun highlights the surrounding reeds and trees. The competition aimed to “expose the majesty of Ipswich’s natural landscapes and native inhabitants through the lens of a camera. Photographers of all ages and skill levels are invited to take part in this exciting photographic experience.” Corina’s work was exhibited by the Ipswich City Council in September. Westside Christian College congratulates Corina on an outstanding achievement. We invite you book a personalised tour and experience our Creative Industries program for yourself. Read more about Corina’s achievement on our Facebook page.